To align HR strategies to support Business Strategies should be brilliantly linked to its keys functions of recruiting, retaining and rewarding staff in a manner that ensures individual best performance and assuring TIB retains and remains competitive in the job market. Monitoring implementing of best HR practices, policies, workers council & other initiatives aiming at employee welfare and retention. Supervising complete recruitment life-cycle for sourcing the best talent from diverse sources after identification of manpower requirements. Coordinating appraisal process across all levels of establishment for substantiating performance appraisal system linked to reward management. Preparing and submitting the Annual Headcount budget for all personnel costs includes promotions, etc. Compiling all data needed for the annual salary review, and the annual performance appraisal analysis. Advanced Diploma. Bachelor Degree in Human Resources Management. Public Administration or related field obtained from a recognised institution. Possession of a Masters’ Degree in Human Resources Management will be ad added advantage. Minimum of six (6) years working experience, of which two (2) must be in a senior position in related function at a reputable institution. A good knowledge of labor laws and excellent in Employees relations matters through working with Trade union and Workers Council. Excellent written and communication skills with ability to communicate both in English and Kiswahili. Excellent and well developed interpersonal and organizational skills. Ability to interpret labor laws and apply them within the context of the bank’s human resources environment. Ability to champion staff issues at higher levels of management. Ability to counsel staff on workplace issues. Ability to maintain high level of performance standards and discipline among staff. 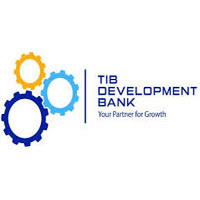 TIB Development Bank Limited is an equal opportunity employer. The bank offers an attractive remuneration package, career development opportunities and an excellent working environment. An application letter showing how they meet the post’s requirements. Copies of relevant certificates and awards. Names and full addresses of three referees.